One of the best ways to secure yourself online is to use a unique password for each site and service. That makes it hard to remember them all, but you needn’t worry about that with a decent password manager. But which one should you choose? Although there are a lot of good ones out there, we scoured the web and have put together a list of the best password managers available today. All of them do a good job of storing your passwords, but we looked for advanced feature support, like syncing your web-based passwords across devices and changing them with a mere click. Other handy features include allowing automatic sign-ins to your favorite sites and granting you improved security in all facets of your data. 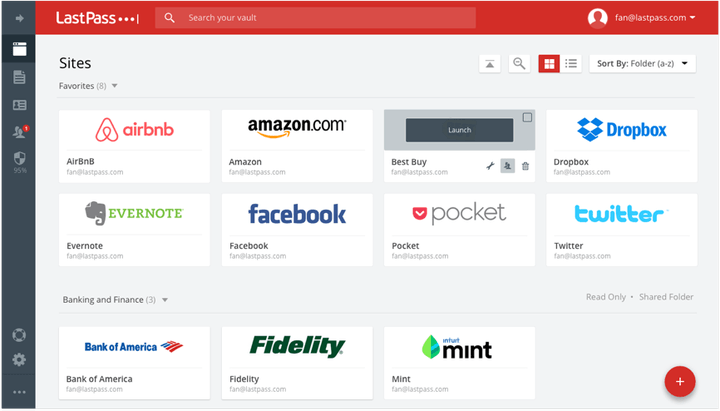 LastPass is a fantastic password manager and it’s free so long as you don’t mind getting by without the full suite of premium features. Once you’ve set up your master password, LastPass allows you to import all of your saved login credentials — usernames and passwords — from Firefox, Chrome, Edge, Opera, and Safari. It then helps you to delete all of the information from your computer to keep it secure, prompting you to do little more than remember your super-secure master password. 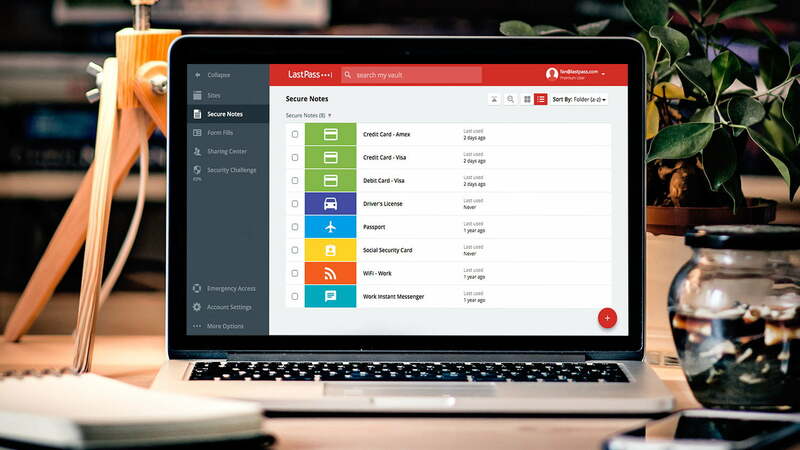 Other free LastPass features include two-factor authentication, free credit monitoring, multiple identities, and even an auto-fill feature designed to streamline your shopping. LastPass also stores your encrypted information on its cloud servers, meaning you can use LastPass on computers other than your personal PC and easily share passwords with family members. It even comes outfitted with a password generator for creating unique passwords. Opting for the premium suite opens up a host of additional authentication options, stellar tech support, and the ability to sync information between your desktop and mobile devices. While LastPass is our favorite for its features and interface, we should remind you that it has experienced security vulnerabilities in the past. LastPass has shown due diligence in fixing them though, as well as releasing regular updates. 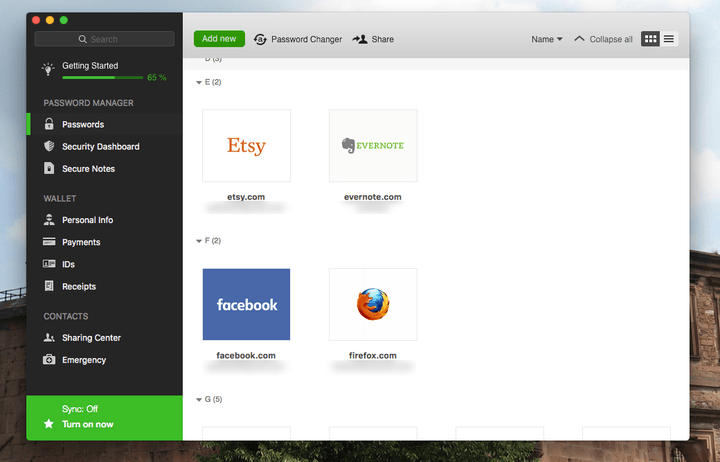 Dashlane’s feature set may not differentiate itself from other software on our roundup, but the programs interface over the years has grown most impressive. It’s incredibly intuitive and simple, flanked with two-factor authentication and the ability to change a host of passwords spanning multiple sites with merely a few clicks. The fact Dashlane’s memory footprint gets smaller with every update is only a plus, as is its ability to securely store pivotal notes and share encrypted passwords with emergency contacts in case you have trouble with your account. The software also allows you to store your passwords locally within an encrypted vault, or automatically sync them across your devices. Its digital wallet grants you a convenient means for tracking and making purchases at various online retailers (even if you don’t have a previous account set up with them). You can use the software to easily scour your receipts if need be, or, if you’re unfortunate enough to have an account on a site that’s hacked, you can set the software to automatically reset your password to something else without ever having to navigate away from the interface. Business versions will cost an annual fee. 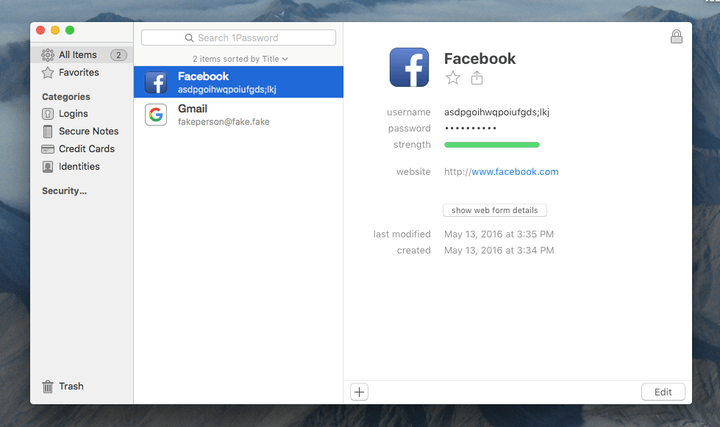 Another extremely popular and reliable password manager is 1Password. Featuring a strong password generator, username and password storage, including secure sharing, it excels when it comes to its intuitive user interface and the built-in “watchtower” service which is designed to notify you of ongoing website breaches. The software’s digital wallet also allows you to securely save everything from your logins and credit card information to sticky notes and network passwords. The developers are so confident in its security, they offered $100,000 as a prize for anyone who could break it. The one-time purchase allows you to sync everything locally, but you can also use the software to sync your info between computers via Dropbox, iCloud, or another convenient method. Its biggest drawback is the lack of a free version, and the limited syncing options available through the one-time-purchase. 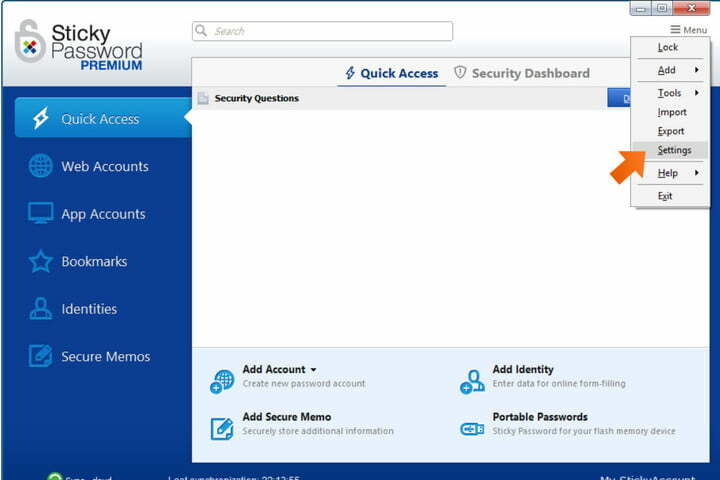 Roboform is a very traditional password manager with features that will probably look familiar to you. It generates passwords, saves them, encrypts with AES256 bit encryption, and syncs across multiple devices. So, what makes it worthy of the list? It does all these things very well, with an updated interface that’s great for newcomers and those who may not use the internet as often — older generations in particular may find it more intuitive. Roboform doesn’t include many extra features beyond the basics, but it does have one fun and noteworthy addition: Bookmark-like logins that automatically fill out forms for you when shopping or logging into new sites. It’s like the autofill functions in Google Chrome, but with more reliability and control. There is a business option that offers data backup and login share options for around $20 to $30 per year based on the package that you choose. That could work well for small, data-driven companies, but otherwise, the upgrade isn’t really necessary. 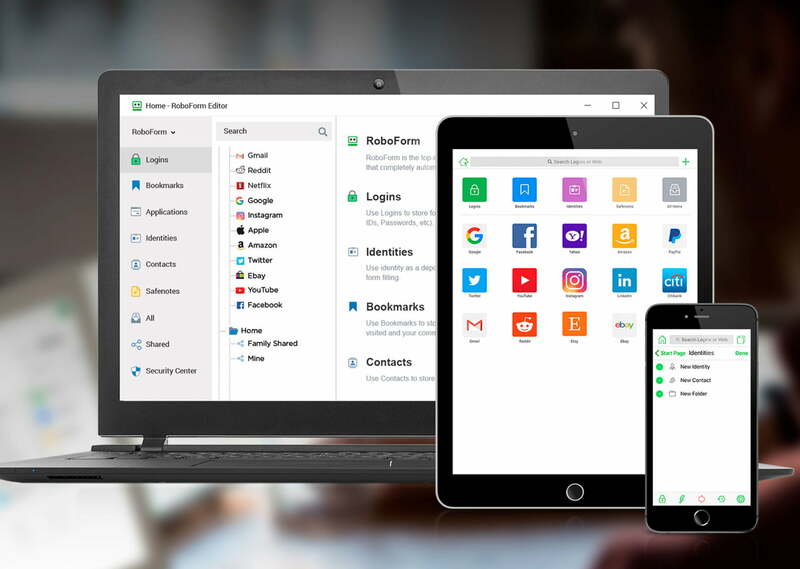 From the creators of AVG Antivirus, Sticky Password is a free password manager that includes a premium version with extra cloud features. It boasts strong password generation, AES-256 encryption — and very intuitive navigation, particularly for mobile devices. Sticky supports a wide variety of browsers including outliers like Pale Moon, Yandex, and SeaMonkey on desktop (mobile is a bit more limited). You also have secure cloud-encrypted syncing options between devices that help protect sensitive data over a wireless connection. Fingerprint scanning is supported, too! Sticky offer both simplicity and professional service, making it a strong choice for a new business. Published on Wed, 03 Apr 2019 10:30:26 GMT, © All rights reserved by the publisher.